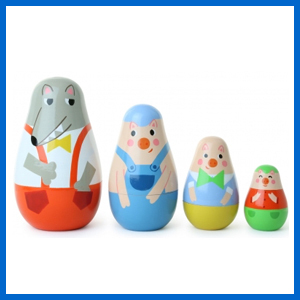 Lanka Kade is a British company who design fabulous, colourful toys that are all hand crafted. 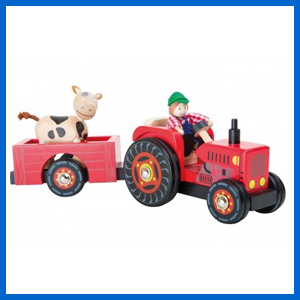 The toys are manufactured by 10 small family owned cottage enterprises in Sri Lanka with whom they have a long working relationship. 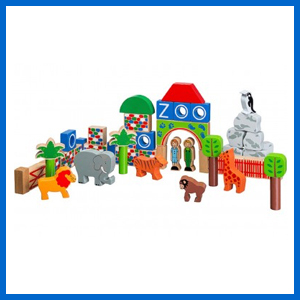 Children can build their very own zoo!Educational & fun this colourful Wooden Zoo Building Blocks set contains all the popular wild animals. 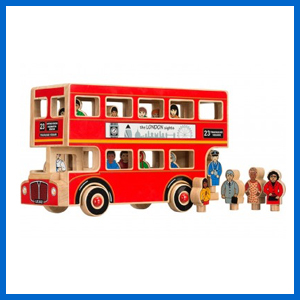 Our Wooden London Bus comes with a bus driver, conductor &14 passengers. 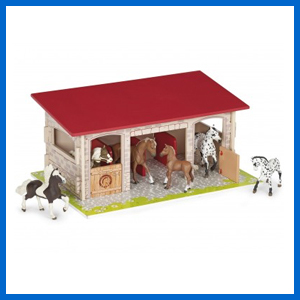 The roof is detachable & the floor removable. 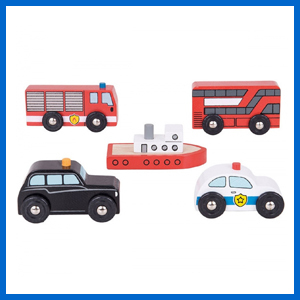 This fabulous London Wooden Building Blocks set features many of the iconic buildings & sites. 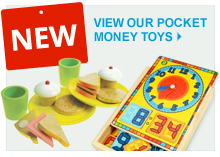 Neatly store the blocks in the bag provided after play. 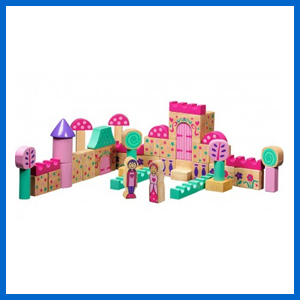 Build your own fantasy fairytale with our 50-piece Building Block Set. 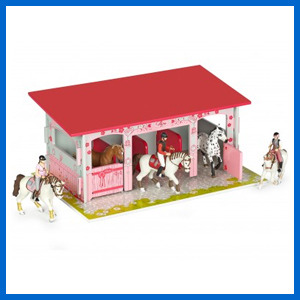 This colourful set has its very own prince & princess. 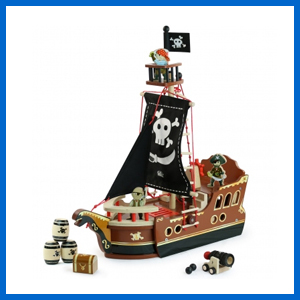 This entry was posted in Random, Updates, Wooden Toy News, Christmas, Learning Toys, Child Development, News on September 23, 2016 by Kerry Berry. 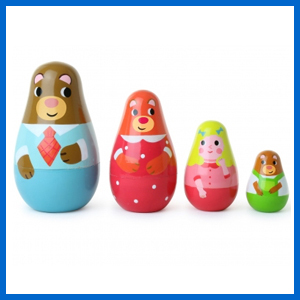 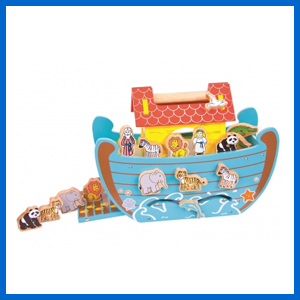 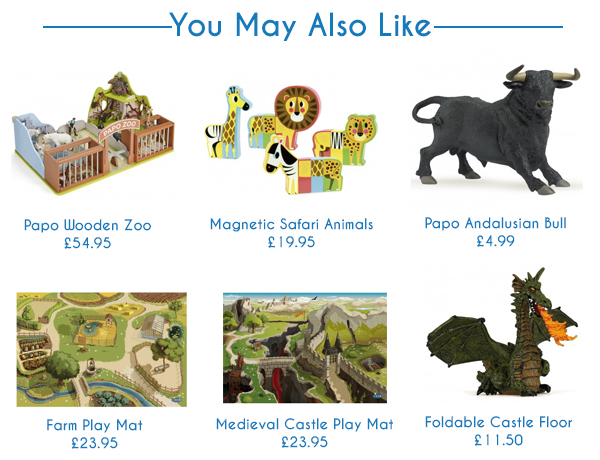 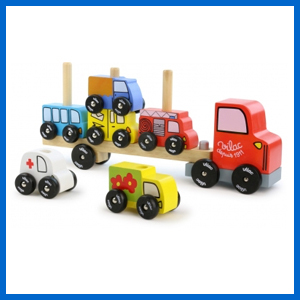 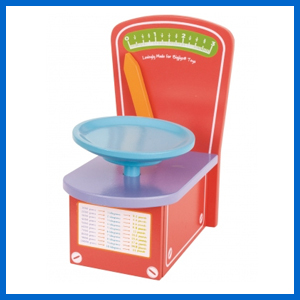 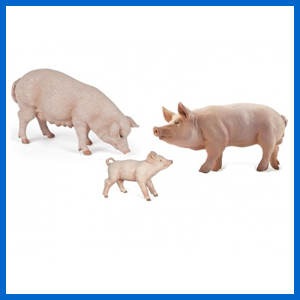 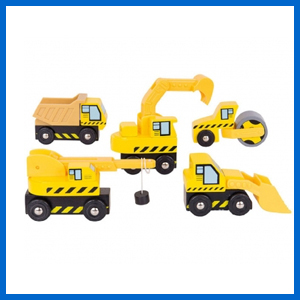 Check out our 'Top Wednesday' picks from Wooden Toy Shop! 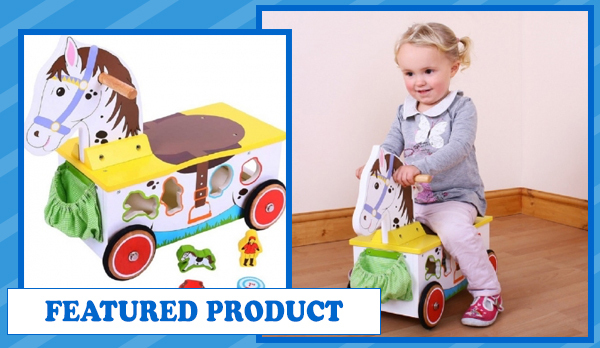 ThisÂ wooden ride on ponyÂ is also a play centre & includes a shape sorter with 4 horse shaped blocks for sorting, a gingham pouch to store all the blocks & a peg slider to slide along the racetrack. 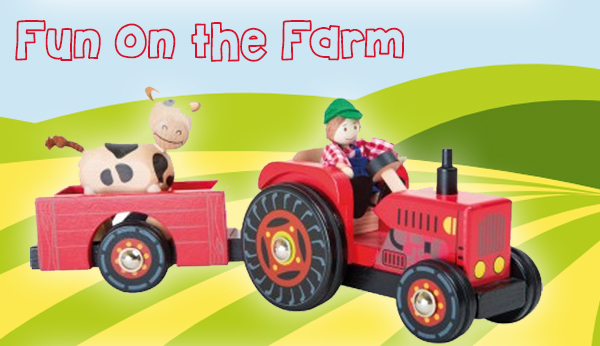 This is a perfect first ride on for your little one. 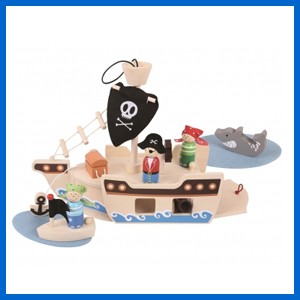 Sail away in ourÂ Chubby Whale 8 inch Pond Yacht. 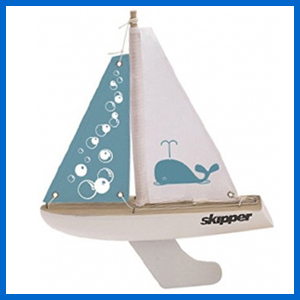 With a white painted wooden hull & steel keel designed to improve buoyancy, it is sure your yacht will stay afloat, even on the choppiest of seas! 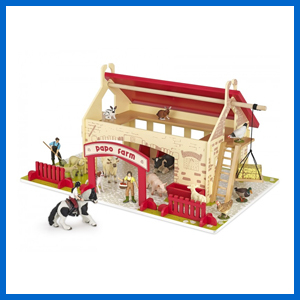 ThisÂ 44-piece trainÂ set from the Bigjigs Rail Series features an orchard, tunnel & bridge. 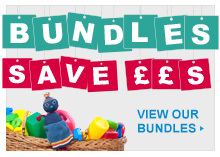 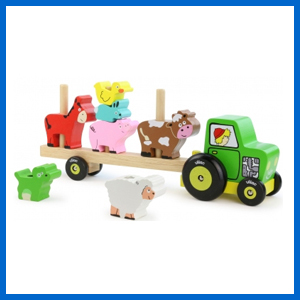 Other accessories include hay bales, a train engine with 2 carriages, a duck & pond & several wooden farm animals. 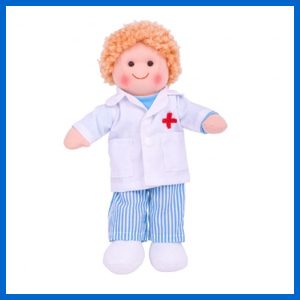 If you have injured teddies & dollsÂ Doctor TommyÂ is always on hand to help & provide care! 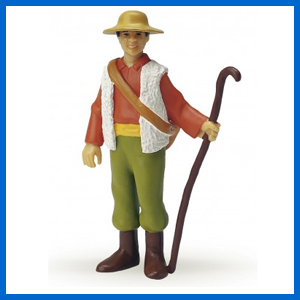 He wears a white surgical jacket, a blue t-shirt & blue & white striped trousers. 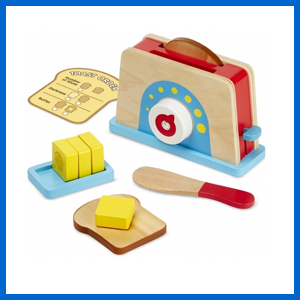 Our colourfulÂ ToasterÂ & Butter Set from Melissa & DougÂ includes 2 pieces of toast, a wooden dish with Velcro to hold 4 pats of butter & an activity card so that your little ones can take your toast order. 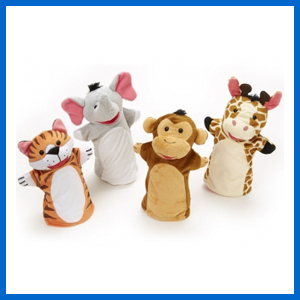 Perfect for imaginative play, ourÂ Zoo Friends Hand PuppetsÂ set features 4 animals including an elephant, giraffe, monkey & tiger. 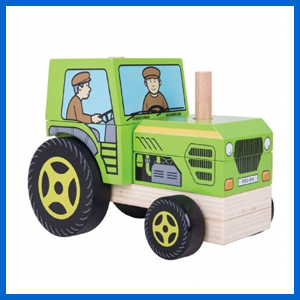 ThisÂ Stacking Wooden TractorÂ toy consists of five pieces & also has turning wheels so that it can be pushed along once it has been built. 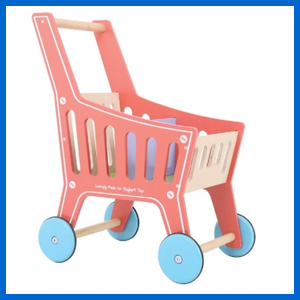 Children love to play role games & this fantasticÂ Wooden Play TrolleyÂ is perfect for children who like to do the shopping! 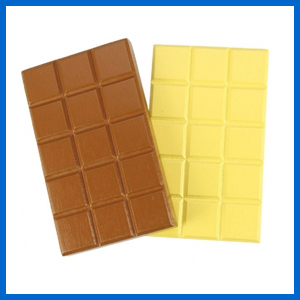 Everyone loves chocolate! 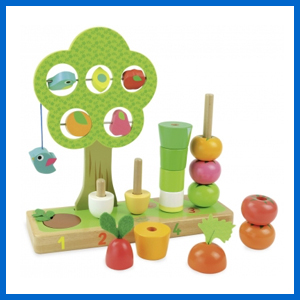 This set includes 2 bars ofÂ Wooden Chocolate BarsÂ & is a great addition to ourÂ wooden play food range. 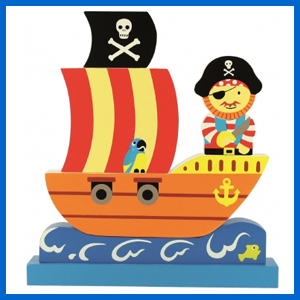 This entry was posted in Wooden Toy News, Learning Toys, News on March 13, 2016 by Kerry Berry.